The Astro-truck is a vehicle to promote astronomy, science and education. 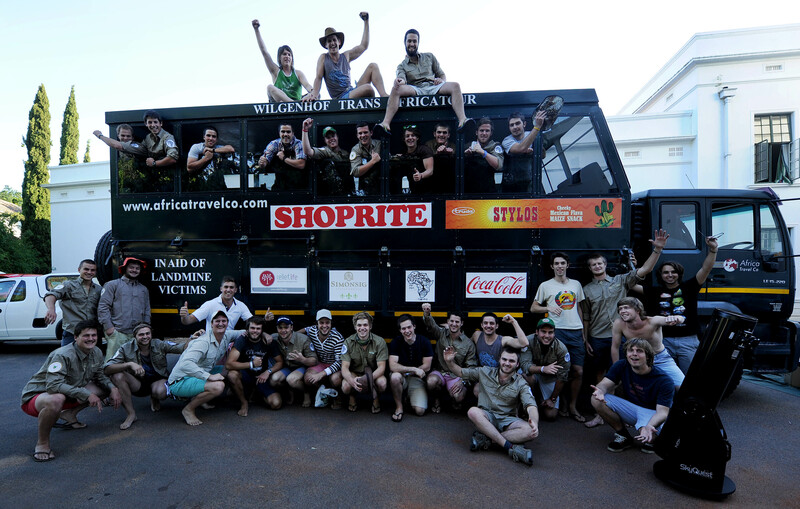 The Astro-truck initiative aims to link up with existing community outreach programs in Africa as part of the WTAT. The two target audiences are the students on the truck and the public interacted with at the formal community outreach events. The IAU provided the support needed to make this initiative a success. The following report (see link below) describes the opportunities and advantages of the trip and what the initiative provided to the IAU. The project was carried around Southern Africa, and has now come to an end, a month shy of its start. Kevin Govender for his inspiration and giving us the go ahead from the IAU. The exceptional team and individuals from SAAO/IAU -Sivuyile Manxoyi, Laure Catala & Nuhaah Solomon- for organizing the equipment and getting it delivered on time. Auke Slotegraaf for watering the seeds of the Astro-truck initiative. Neville Young for his generous donation of fun and helpful educational material. Nomandla Bongoza at Kuyasa who was always willing to help facilitate an outreach in Kayamandi. While we travelled Africa teaching and spreading the joy of astronomy, it can safely be said that no one learnt as much as we did. We are deeply grateful for this experience.